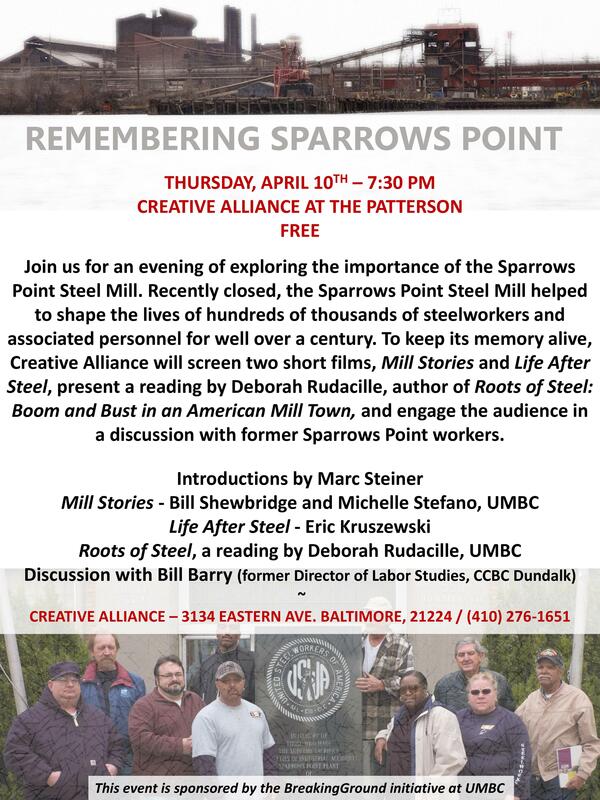 The Creative Alliance and BreakingGround will host Remembering Sparrows Point on Thursday, April 10 at 7.30. The event will be held at Creative Alliance at the Patterson. The evening will feature short films, a reading and discussion about the Sparrows Point Steel Mill.